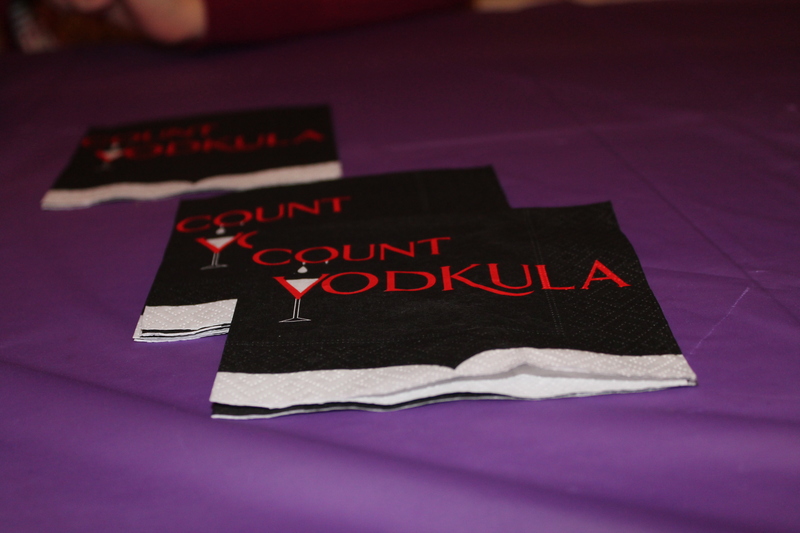 The Launch Party was a Success! 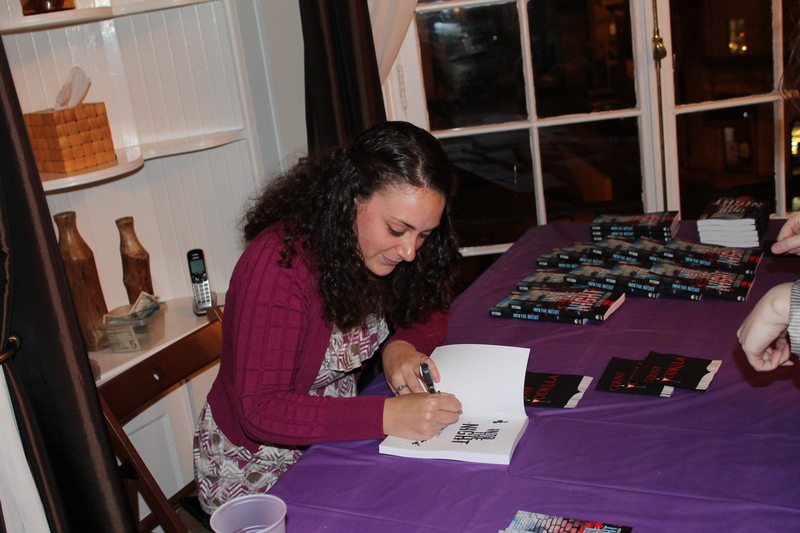 Awesome upon awesome… that’s how it feels to have a successful party to celebrate the debut of my first novel! 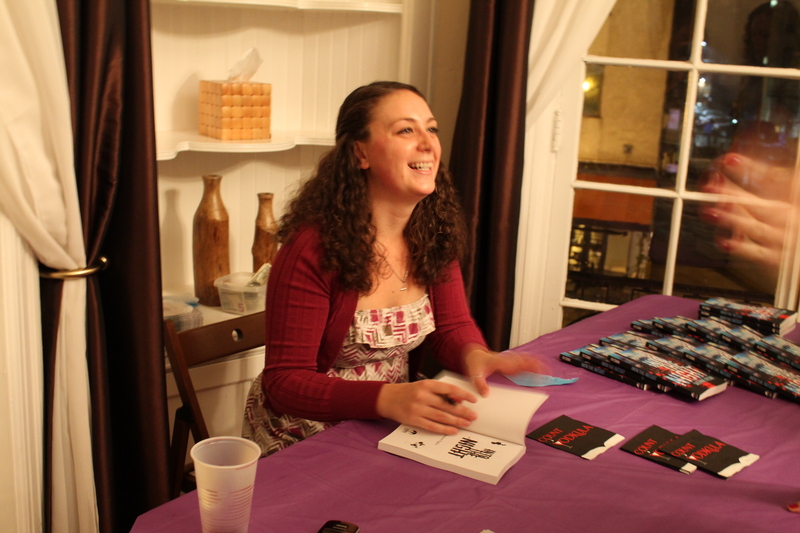 This past Saturday night, family and friends gathered in Dupont Circle to hang out, talk vampire trivia and pick up copies of Into the Night. Here are some photos courtesy of my friend Bianca, who, you’ll notice is one of the few to whom the book is dedicated. So thank you, B! Check out that great book setup! 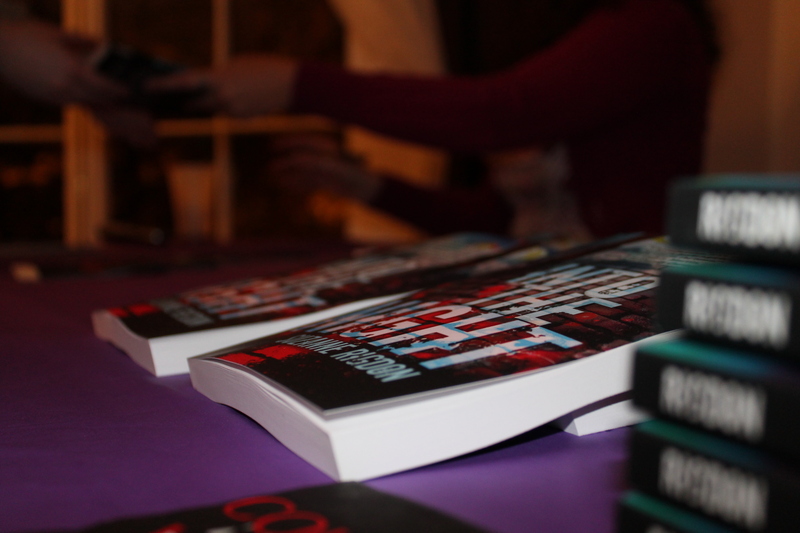 Action shot with those beautiful books in the foreground! One of my favorite shots from the evening. And as always, don’t forget to check out my new author website. Thank you! I saw them in a cute little card shop and thought they were too good to pass up.